Captain 3D is an ordinary superhero just 30 cm high. He doesn’t actually have a super power but he has a big heart and, when he puts on his super anaglyph glasses,he sees the world in relief! His motivation: rescue damsels in distress! 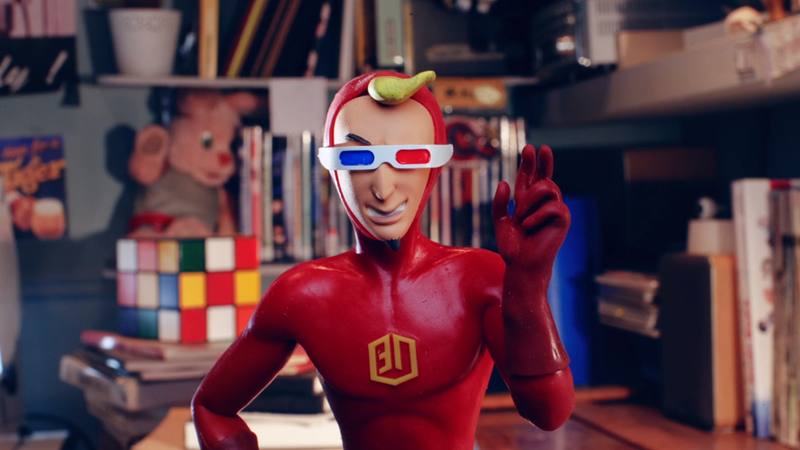 Captain 3D is the latest short from stop-motion director and animator Victor Haegelin. It is a Vimeo Staff Pick and was a featured selection at Le Festival Courant 3D and at film festivals in France and Brazil. That was great! Thanks for posting it. There’s so much good stuff on the ‘net that I miss too much of it. Yeah, fun little bit of superhero animation. Must have taken forever. I do NOT have the patience. Props to those guys!